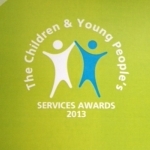 shmuTRAIN were shortlisted for the Raising Achievement award as part of the 2013 Children and Young Peoples Services Awards Programme. Monday October 7th will see our current group of trainees graduate from the 15th Positive Transitions course. 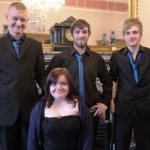 The graduation will be a formal affair with trainees choosing a colour scheme (PT 13, pictured, chose blue and black) and dressing up in their finest - we even treat them to a slap up dinner just before the ceremony. 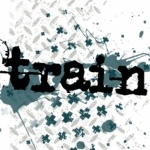 The new school term is now well underway and shmuTRAIN are working with pupils from Torry, St Machar, and Northfield. For the first time this year we are working with pupils from Kincorth Academy. Pupils from Torry and Kincorth academies will be delving into radio training, so be sure to listen out on shmuFM for their debut on the airwaves during our Early Interventions radio show. 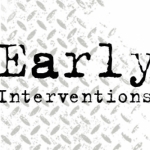 Early Interventions – We’re back! After a very hot summer baking away in our offices we are soon to be heading out and about again into schools to begin our Early Interventions programme for the 2013-14 academic year. We are going into Torry Academy, St Machar Academy and Northfield Academy as usual and are also heading up to Kincorth Academy for the first time this year. 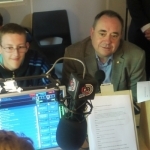 On Monday 10th June, Station House had a very special visit from Scotlands First Minister; Alex Salmond. He came with SNP Donside by-election candidate Mark McDonald to learn about the work the station is doing to promote opportunities for young people.